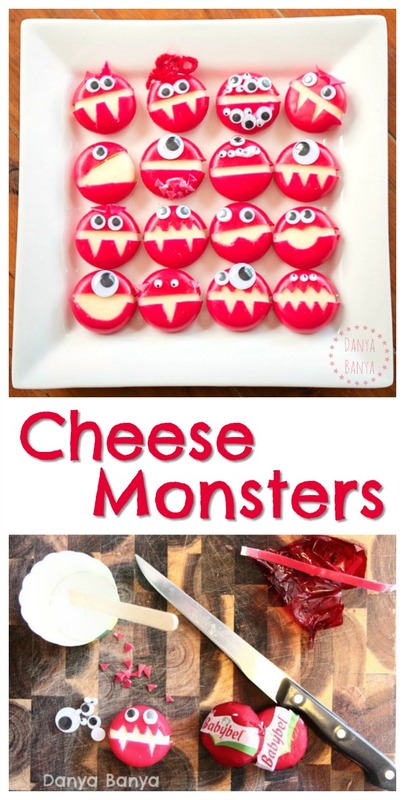 A sharp knife (a filleting knife is perfect), a few googly eyes in different sizes, some non-toxic kids PVA glue, a tiny bit of wool for hair and a couple of packets of mini Babybel cheeses all come together to make a plate of monsterlicious treats. Because each monster was intentionally different, there was no pressure to cut or stick in exactly the right place. 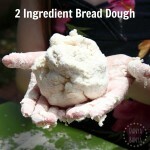 And of course, you don’t need to make as large batch as this in one go if you don’t want to. You could make just a couple to surprise the kids in their lunchbox. They’d be perfect for Halloween! Sponge monsters, for some more creative monster googly-eye action! We also have a couple of Pinterest boards you might be interested in. Or of course, you can always subscribe to our newsletter to receive all our latest posts via email. Note: This post was originally published 18 March 2014, and has been updated. LOVE LOVE LOVE these, Danya! My recent post Save the Pie! review â¦ for Pi Day! Very cute idea! I just know I would eat all the cheese in the production phase though! Loooooove cheese! My recent post An Exclusive Interview With Hi-5, A Celebrity Recipe and A Giveaway! What a fabulous idea. 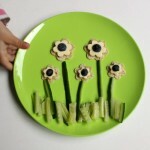 I'd buy them as a party snack, but I'm too cheap to buy them for school lunches – hi Em! My kids have to settle for a hunk of cheese cut off the block and wrapped in foil! You're too cute Grace! How did it taste? Oh that's a super cool idea!! My recent post 32 at 32… How did I go? So much fun!!!!!! My daughter loves this cheese. What a fun surprise for her lunch box. What kid wouldn't want to find this in thier lunchbox!! Thank you for linking up to the Thoughful Spot Weekly Blog Hop! Each face is so different & unique – love that! 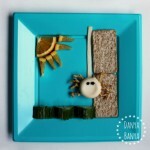 Got to your site via Kitchen Fun with my 3 sons. If the cheese is expensive (???) you could make the faces as the center piece and then have chunks of regular cheese with toothpicks surrounding the center piece. They're just too cute to eat anyway and they come all the way from Austraiia – wow. Thank you, and good suggestion! And I love the idea of including locations in the comments – thanks for popping in from S. Florida!! These are so stinkin' cute! 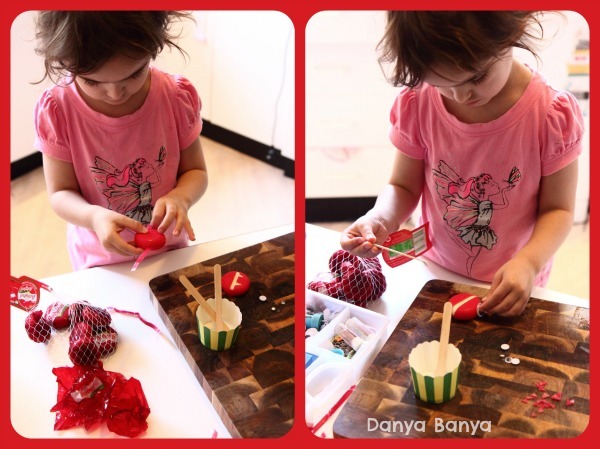 How creative you are, Danya! Thanks for linking up on Makeovers & Motherhood's Welcome Party Wednesday Link-Up! 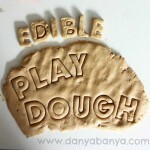 Definitely pinned as a Fun Kid Food! 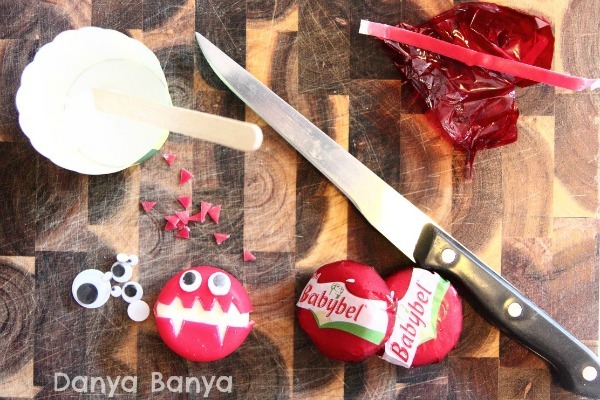 I know a big kid who adores “Babybel” cheese in any form. I also like to throw a few in for an ‘on the go’ snacks, the red wax protects the cheese and keeps it firm inside, if it’s hot. 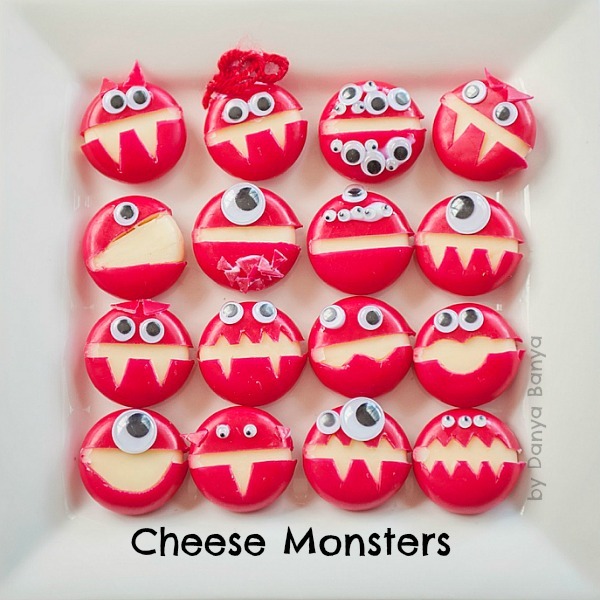 I think there’s a few big kid Babybel fans out there! Good question – I haven’t tried storing them overnight myself as we made ours on the same morning as the party, and they were all gobbled up. I’d try wrapping them individually in plastic wrap or foil and store in the fridge. 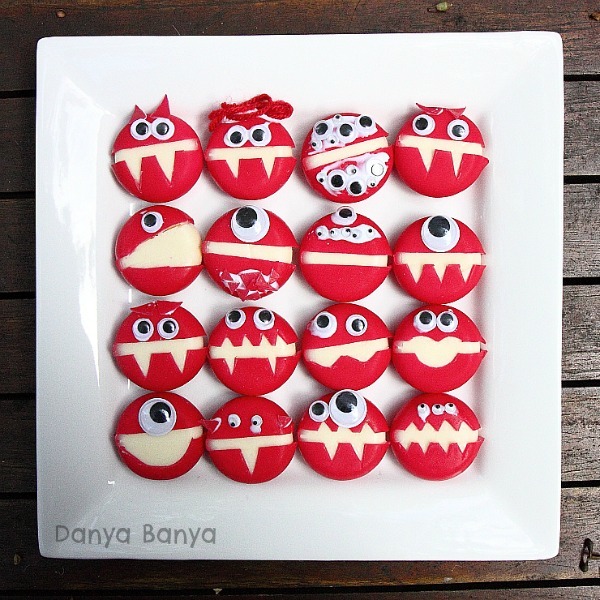 Instead of googly eyes, perhaps you could use Wilton candy eyeballs or a similar candy decoration. Or round candies with a black spot from an edible marker to make the eye. Safer for little kids, and edible. 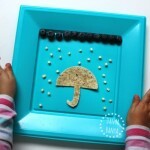 Good idea for kids preschool snack, just not sure if stored overnight would make them dry in those particular areas. I’m not sure – I’d suggest making them in them morning, or wrapping them in cling film perhaps? They are awesome.lady birds would be really cool. I might try these next. Love them i will try them very soon. And hope that my kids will fall in love with them. Thank you so much for sharing these amazing tips. Thank you! Hope your kids love them!